Grade 1 stakes-bound Hofburg and Elate came out of their Sunday breezes in good order, Hall of Fame trainer Bill Mott said from his barn the day after the duo worked five furlongs on the Oklahoma training track at Saratoga. Hofburg, pointing towards the Grade 1, $1.25 million Runhappy Travers on August 25, was credited with the faster workout time of 1:00.54 while Elate, targeting the Grade 1, $700,000 Personal Ensign on Travers Day, went 1:00.71. Mott said both will have one final work either Sunday or Monday under their regular exercise riders. 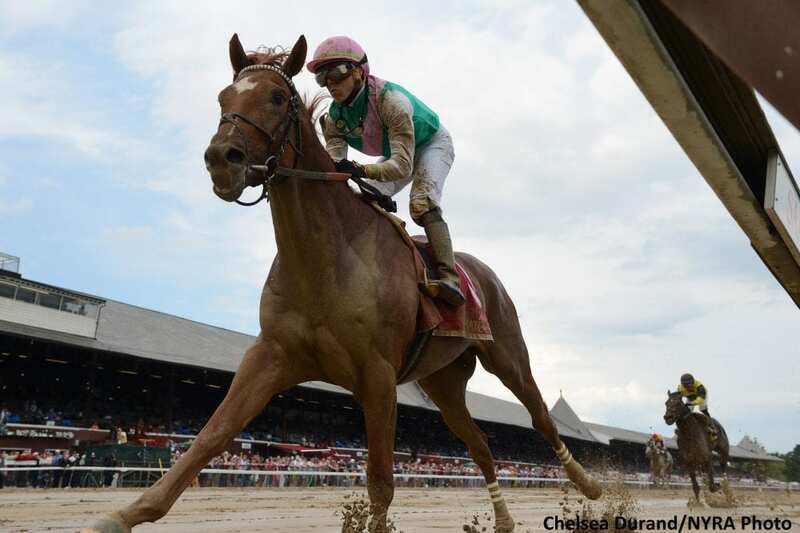 Hofburg posted a five-length win in the Curlin on July 27 at the Spa. The Tapit colt will be looking for his first graded stakes win after two strong showings, finishing second to Audible in the Grade 1 Florida Derby on March 31 at Gulfstream Park. After running seventh in the Grade 1 Kentucky Derby on May 5 at Churchill, the Juddmonte Farm's homebred rebounded to run third behind Gronkowski and Triple Crown-winning Justify in the Belmont Stakes on June 9. Elate made her 2018 debut in impressive fashion, coming off an eight-month layoff to win the Grade 2 Delaware Handicap last out on July 14 at Delaware Park. The 4-year-old Medaglia d'Oro filly will now take aim at the Personal Ensign, a 1 1/8-mile race that is a “Win and You're In” qualifier for the Breeders' Cup Distaff in November at Churchill. Mucho, who broke his maiden at second asking on August 4 at Saratoga, could make his stakes debut on the same track, as Mott said he remains possible for the Grade 1, $350,000 Hopeful for juveniles on Closing Day, September 3. Contested over seven furlongs, the Hopeful would keep the Blame colt at one turn after he won a six-furlong sprint earlier this month. Mott said Yoshida came out of the Grade 1, $500,000 Fourstardave in relatively good order, though the conditions of the inner turf course that took heavy rain throughout the week led to the Japanese-bred being hit with a divot as he ran fifth of six. “He looks fine now, he had taken a pretty good blast to the eye with one of those big clogs, and he had an eye closed up the next day,” Mott said. “I guess that can probably ring their bell a little when they're running; it's hard to know how much it affected him in the race. Commend continues to train at Saratoga, even as the weather conditions might preclude him for racing in the summer meet, Mott said. Stationed at Saratoga since June, the 5-year-old son of War Front has not raced since running 11th in the Karl Boyes Memorial on June 18 at Presque Isle Downs. This entry was posted in NL Article, Racing and tagged bill mott, curlin stakes, elate, hofburg, medaglia d'oro, Personal Ensign Stakes, saratoga, tapit, travers by NYRA Press Office. Bookmark the permalink.